Hi everyone! I'm back today with some more cards using the Wild & Wonderful release by Catherine. Did you hop along yesterday? Click HERE to start on my blog, leave comments for your chance to win some amazing inks! 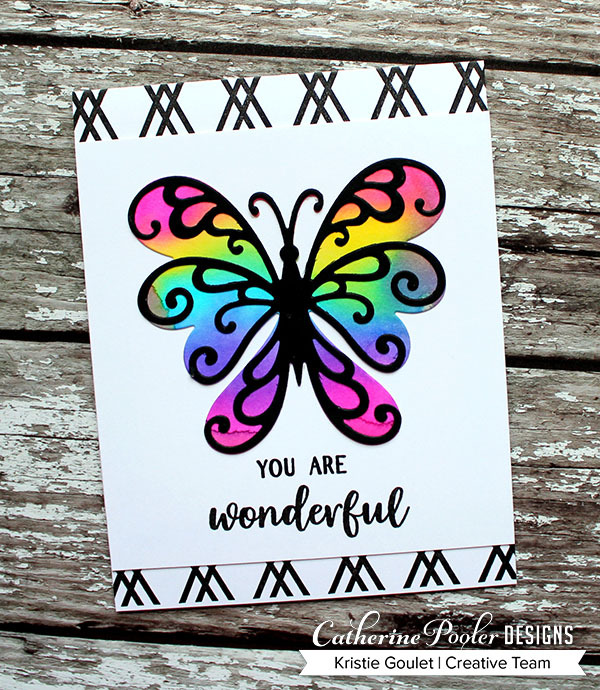 Today's cards feature the In Flight & Scroll Butterfly Dies & the BFF Background stamp. 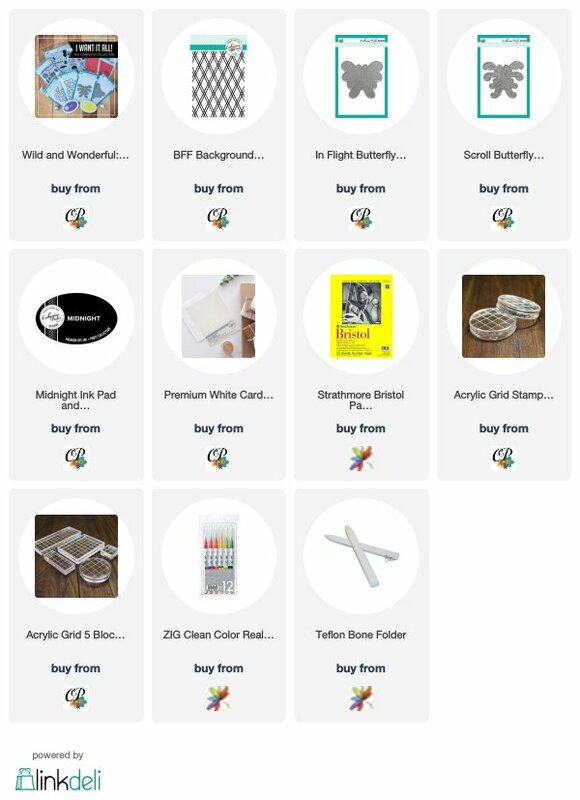 I am sharing three different ways to use the dies. The first one features the In Flight die by itself. I love how beautiful this butterfly is. 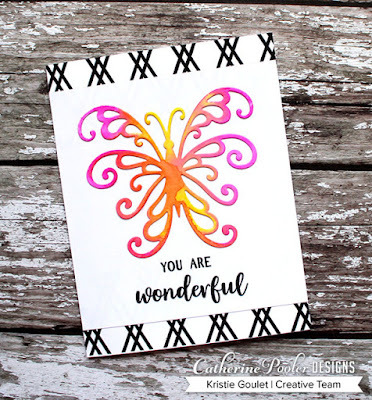 I die cut it using Bristol watercolor card stock and used my Zig Clean Color Brush Markers to add color. The next one features the Scroll Butterfly die by itself. I colored this one the same way, using Zig Clean Color Brush Markers. My last card features both of the dies used together. I think this one is my favorite! Love me a rainbow. Make sure you visit Catherine's blog today to visit each stop along the hop. Oh they are so beautiful! 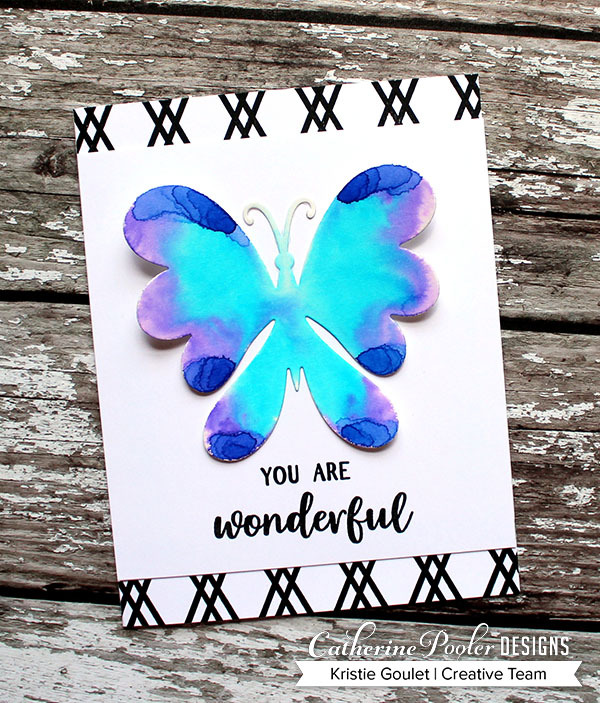 All these butterflies are so wonderful !! 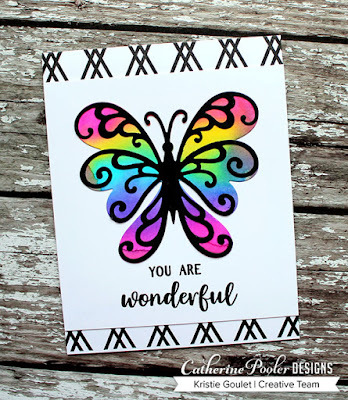 I just love your rainbow butterfly. So Awesome! Faithful Fluttering Dies, Purple Tape & Amodex! !